The Plan for Hudson represents the best of sustainable planning and land stewardship practices, providing a compact urban form, light imprint infrastructure, local food production, and engagement with nature. Located in eastern Montgomery, AL, the Hudson site is immediately adjacent to Pike Road, an important regional north-south connection. 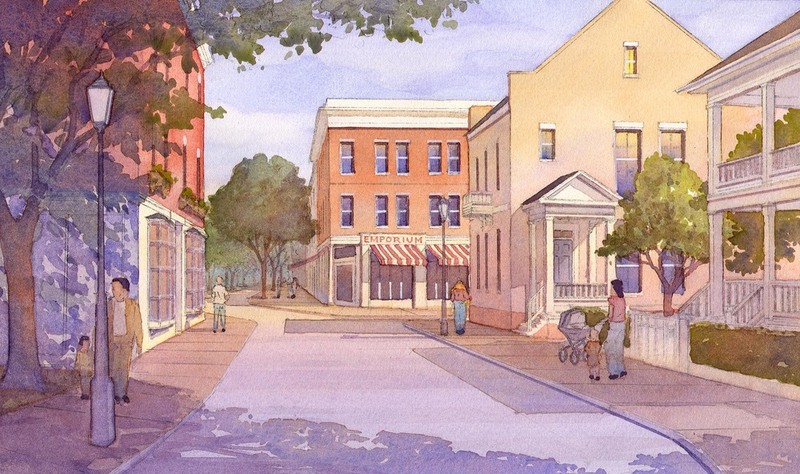 The City of Montgomery SmartCode permits the development of the property as a new community, consisting of a series of neighborhoods that follow the rules of Traditional Neighborhood Design (TND). 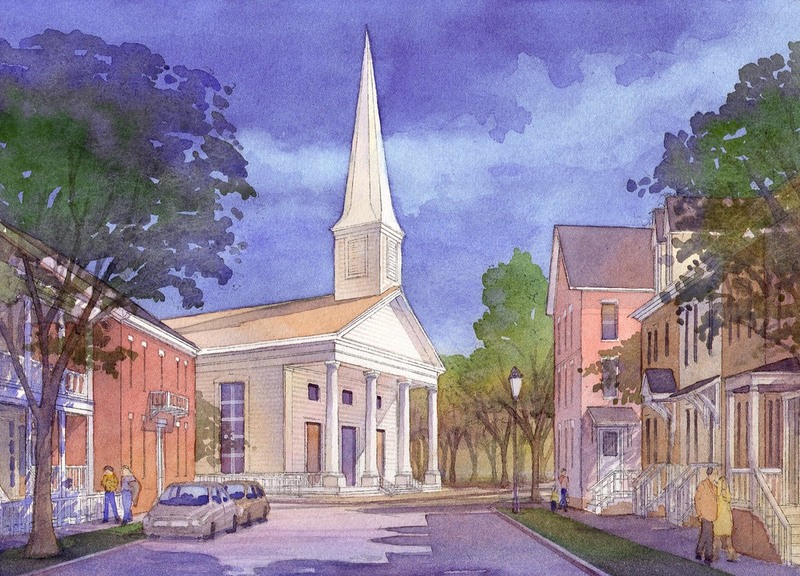 The urbanized areas of Hudson town are conceived as a series of complete, connected neighborhoods of varying character. The placement and form of the neighborhoods were determined after careful study of the site’s natural features, including the landscape, hydrology, and topography. The Plan includes an interconnected network of streets, which is important to mobility and circulation in the new town as well as the region. More than half of the acreage is in open spaces: preserved and restored prairie land, constructed wetlands, and organic farming. 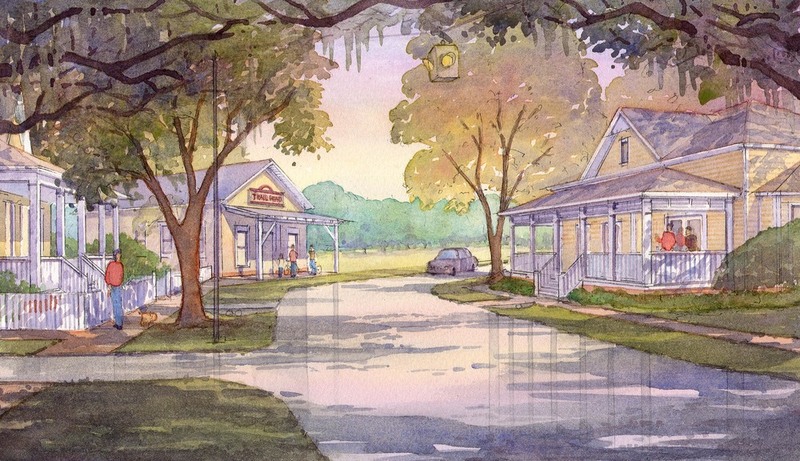 The working farm is planned to be one of the first amenities on site, illustrating the commitment of the town founders to sustainable practice and community building. Andropogon Associates, Jeff Speck, Goodwyn, Mills & Cawood, Civitech, Hall Planning & Engineering, ECOS, Zimmerman/Volk Associates, Milesbrand, Chael, Cooper & Associates, Sottile and Sottile, and the Auburn University School of Architecture assisted in the development of the Plan.